Aluminum foil presents many advantages in the packaging world. It provides excellent barrier properties, presents a visually stunning exterior look, and hosts unique malleability which allows a tight wrap around all varieties of objects. That malleability however comes with a downside as it causes aluminum foil to be susceptible to damage if improperly handled in roll form. 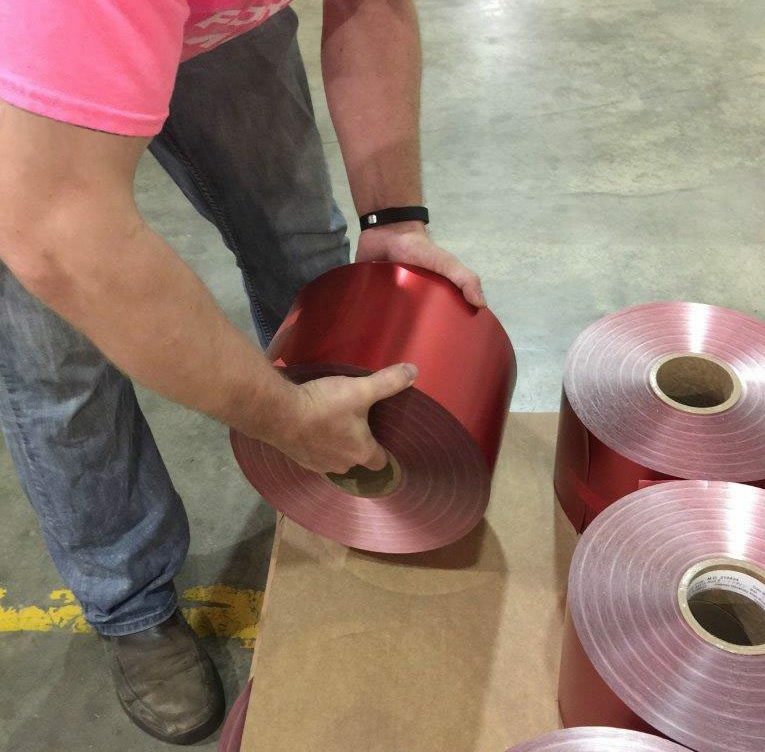 Because of this, we have put together a brief guide for proper aluminum foil roll handling to help you avoid many of the common mistakes that lead to damaged rolls. Unsupported Foil & Laminated structure are very stable as long as they are kept clean, dry and in the original packaging. Items with heat seal or cold seal can be sensitive to the environment. Best practice is to keep rolls in a 70°F environment with 50% relative humidity. We recommend using FIFO (first in, first out) principals when drawing material from inventory and to consume all material within six months of receiving it. Aluminum foil structures, especially unsupported ones, can be vulnerable to damage if not handled properly. We recommend rolls only to be handled once, from the pallet to the machine. If you need to stage multiple rolls at a time, we strongly recommend installing a staging bar where you can hang upcoming rolls by their cores. If a staging bar is not an option, resting rolls on their side on a soft smooth surface like a packing pad or a corrugate box can also be a viable option for staging. 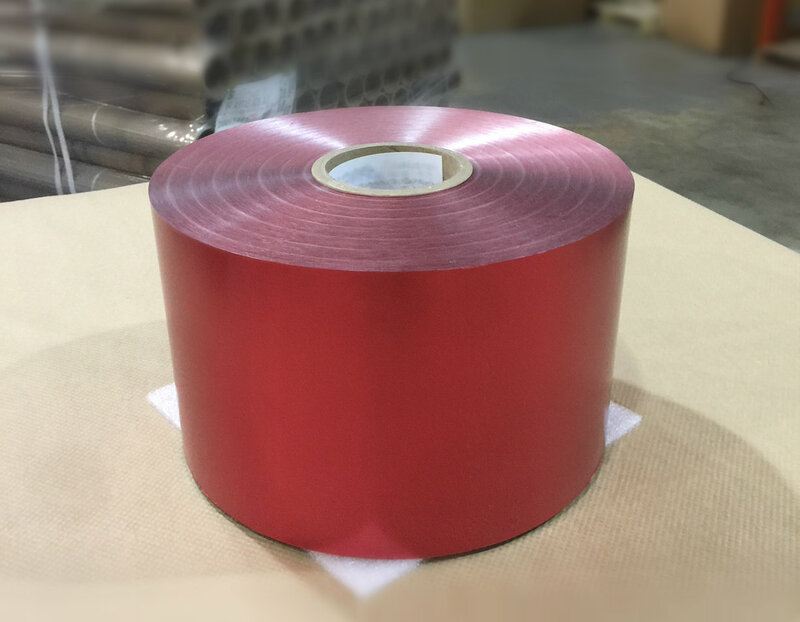 It is important however not to store or stage a roll vertically as flat spots can develop over time which can cause issues in during the wrapping process. When moving a roll from one place to another, be especially cautious with the edges of the roll. 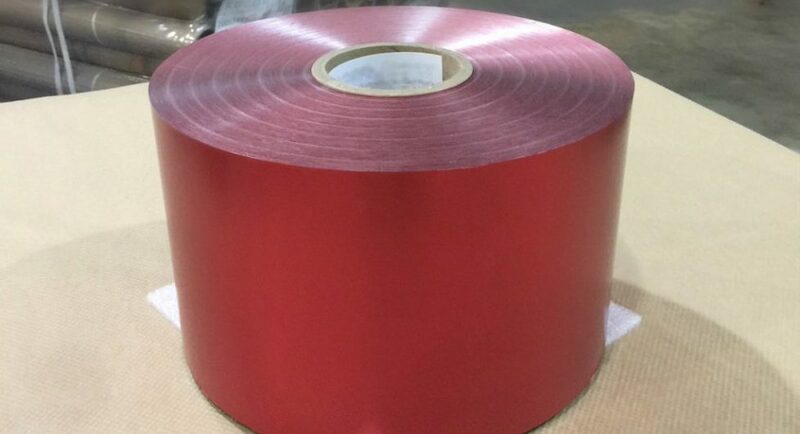 The pressure from resting the roll on a single edge can damage many layers of foil which can lead to wrap failures on your line. To remove a roll from a skid, it is best to grab it by the core and lift directly up as to avoid pressure on any one point of its outer rim. If the roll is too heavy to lift with one hand, we recommend sliding the roll to the edge of the pallet so you can secure two hands around each side of the roll at the core. 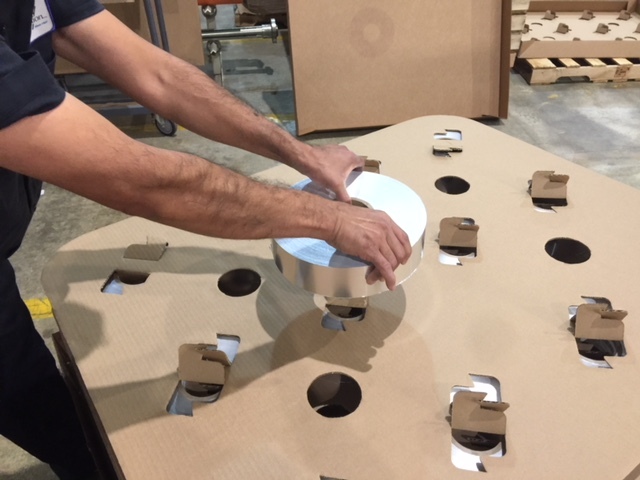 In summary, the best way to avoid damage to your aluminum foil rolls is to eliminate any unnecessary handling steps – bring the roll straight from the pallet to its machine. Beyond minimizing handling, it is crucial to take extra care when removing a roll from a pallet – lift the roll by its core and avoid putting extra pressure on any of the roll’s edges. Following these and the other steps listed above will minimize production scrap and increase machine efficiency.